This tower commands attention and provides easily accessible storage for trade shows, events and commercial interiors. Attendees are drawn to the striking and dramatic effect of edge-to-edge frameless graphic images up to 16 feet tall. 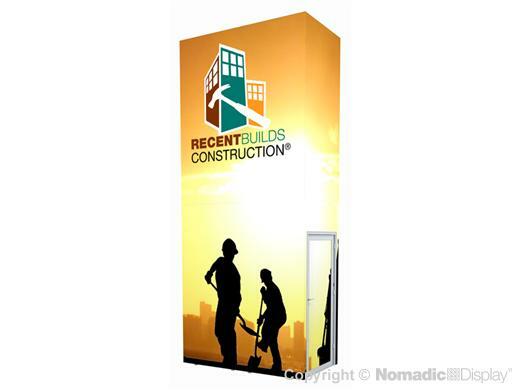 Our SEG graphics are custom-tailored to wrap around corners to deliver 360° of uninterrupted imagery that conceals the structure beneath. 1 - Crate950EL - 48" x 48" x 100"